Star Wars: Force Arena – Test your strategic mettle in the Star Wars universe. We all know the story of Star Wars, how the Galactic Empire fell to the forces of the Rebel Alliance thanks to the long-awaited return of the Jedi order. We know of the heroic exploits of Luke Skywalker, and the fearsome villainy of Darth Vader. What we may not know is how Han Solo would fare in a fight against the Grand Inquisitor, or how well Storm Troopers would do against an army of Wookies. There are so many larger-than-life figures in the Star Wars mythos, and with Force Arena, you can pit them all against each other in a battle royale unlike any other! Fight the War Your Way! Star Wars Force Arena doesn’t pull any punches. Choose your side in the conflict, amass your army, and put your honor and tactical skills to the test in a thrilling game of war. Fight battles against players all over the world. Lead your army against one opponent, or engage in 2v2 player deathmatch! Take control of over a dozen Star Wars heroes and villains, including Luke, Leia, Han, Vader and Tarkin. Field the forces of the Rebel Alliance and Galactic Empire. Command the Stormtroopers, Honor Guards, X-Wings, Tie Fighters and more! Control the battlefield. Take out strategically-placed turrets, usher in the cavalry, and destroy the enemy base. Will the Force Be With You? All are welcome to join the ensuing conflict that is Star Wars: Force Arena. Are you a Star Wars fan? Welcome aboard. Do you play strategy games? Step right up. The fate of the galaxy is at stake, and there is much honor and glory to be found. Take up your blaster, grab your lightsaber, and earn your place in Star Wars history today! (Android – For most Android based phones and tablets. (iOS – For most iPad, iPhone, and iPod Touch devices. Learn how to play this game on your PC! 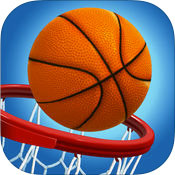 Basketball Stars – Become the Hoop-Shooting Champion of the World! 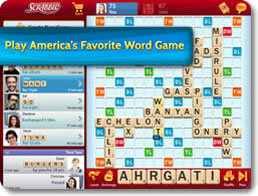 Scrabble – Play the Truest Digital Adaptation of Scrabble on the Go! 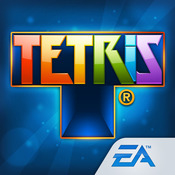 TETRIS FREE – Play Tetris, stack blocks, and clear rows anywhere and anytime! Angry Birds Rio – Smash Things Up in this Crossover Between Angry Birds and Rio!